We are proud to have strategic relationships with outstanding South African and international consulting firms. We work in partnership with these colleagues when CCG requires a specialist level of consulting expertise or a global perspective. TCG offer a range of transformational and value improvement solutions with a strong focus on improvements in procurement, supplier value delivery and modernising process. Our consultants have all had personal leadership and delivery success in multiple service based organisations and worked with all the major consultancy firms in structuring and delivery of transformational programmes. We are all highly commercial and look for delivering innovation and exciting new ways of delivering service. 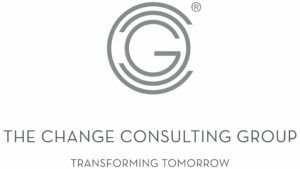 The Coaching Company is CCG’s partner company and as a boutique Organisational Development consultancy, specialise in Corporate Assessment, Executive Coaching, Organisational Learning and Change Management. They are experts at developing enterprise-wide projects and we work together on assignments where this level of expertise is required. Please feel free to be in touch with them at the contact details here (we share an office). BPI is a US-based Management and HR consulting company with 1,800 employees in forty countries, and a twenty five-year track record. They specialise in Corporate Restructuring, Organisational Effectiveness and Talent and Leadership Development. The Change Consulting Group has worked with BPI since 2008 on a number of international assignments, and we represent their organisation on the African continent. Frost & Sullivan is a US-based Management Consulting company with 1,800 employees working out of forty offices on six continents, and a fifty-year track record. They are world leaders in the development of management research and insight, and we work closely on turnaround, major change management and strategy implementation projects. 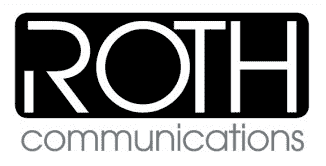 In strategic partnership with Roth Communications, CCG is proud to offer Narrative Intelligence as a service line to our clients. This approach to sourcing, invoking and scribing an organisation’s stories, values and self understanding is invaluable in the context of organisational change, and we highly recommend their services and expertise. Ecosis is a Mauritius-based sustainability consultancy firm that CCG partners with on environmental or built environment projects. Their team includes LEED accredited professionals and a BREEAM international assessor, qualified professional chemical and environmental engineers, a specialist in water and wastewater engineering, project managers, quantity surveyors, an architect, an artist, a landscape designer and an economist.